The student union at the University of St. Mark and St. John in Plymouth have 'banned' orange juice with bits. This was in response to the UPSU (University of Plymouth SU) banning The Sun, the Daily Mail and the Daily Express from campus - a move which faced much criticism. Marjon SU said that "to remove these newspapers from sale is to deny a chance of intellectual debate". The statement went on to say "orange juice is a different matter, though". After seeking opinion from their students in the form of a Twitter poll (in which they claim 55% said it was "not bad" or "better" with bits), they said "we felt strongly that it should be removed from our campus to ensure our students weren’t brainwashed into having moronic taste buds.". 33 people voted in the poll. In light of the news that our neighbours UPSU have banished The Sun, The Daily Mail and The Daily Express from their shop, we would like to announce we will not be banning the sale of these papers. However, we will be banning the sale of orange juice with bits. We explored the idea of banning certain tabloids two years ago but our executive officers decided that whilst we may not share the beliefs of several newspapers, our students should still have the right to buy them and come to their own conclusions. To remove these papers from sale is to deny a chance of intellectual debate and to shelter them from what is out there in the real world outside of campus life. After all, isn’t that what university is about? Stimulating discussions and debates. You can no longer have the same levels of discussion when you begin to censor things. Orange juice is a different matter, though. 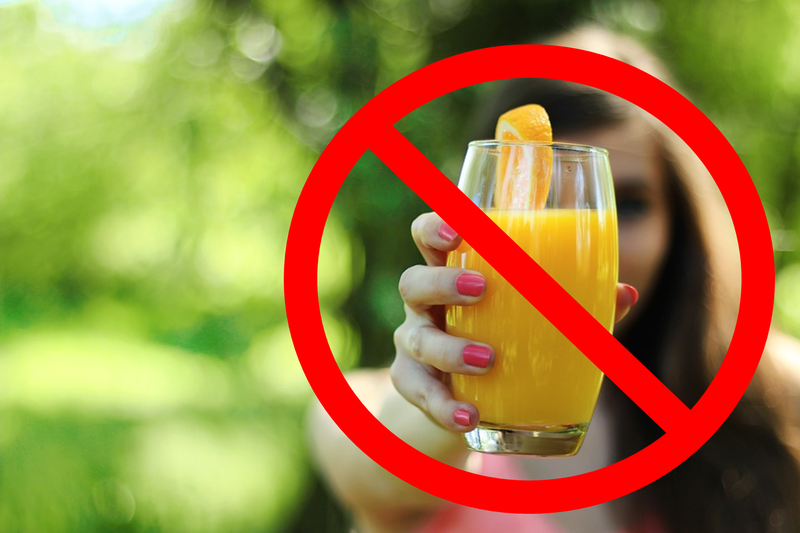 Our decision to ban bitty orange juice began in October. We hosted a Twitter poll to gather students’ feelings toward bitty orange juice, and whether we should ban this less than ideal drink from our campus. The poll presented us with the overwhelming voice of 33 students, who defied our predictions, with a majority of 55% claiming it’s not that bad or in fact better with bits. We couldn’t stop there, though. Such is the hateful nature of bitty orange juice, we felt strongly that it should be removed from our campus to ensure our students weren’t brainwashed into having moronic taste buds. We simply do not trust our students to make their minds up on what drink they have. Freedom of tongue should not be common place in any institution, let alone in an educational one. Picture the scenario; one of our students walks into our shop on the very first day of university. They buy a bottle of bitty orange juice and they like it so much that they only buy bitty orange juice for the rest of their life. We simply cannot allow our students to be converted into bitty orange juice drinkers. Therefore we are banning bitty orange juice from our campus. Despite the student poll suggesting that orange juice is better with bits in, such is the hate expressed in the texture of the drink, we believe that the drink is belittling and demonising to students taste buds. We concur, that yes, banning tabloids is bad. Banning orange juice with bits in however, is the future.